something I've been using every single day since I opened it..
ELF mineral glow kit in bronzed. This comes in a faux leather case and with a body kabuki brush. But my main focus in this review will be the bronzer. The faux leather case is cool for travel stuff. and the kabuki brush isn't the best I've tried. Allow me to rephrase that. The kabuki brush... which you can buy seperately on the site..
is NOT a good brush. It is coarse and sheds. So it is not the stand out product in this kit.. So, you decide what works best for you. Personally, if I were to buy it .. I'd get the mineral glow in bronzed on its own. and the bronzer is very much worth it ..
because I have been using it every single day since I opened it. I want to apply it to geta slight amount in the sifter. I later removed the whole thing.. and I find it easier..
because I don't have to shake it everytime and all I have to do is use a light hand. Honestly, I don't care for the kabuki brush that it comes with .. I find it too coarse for my liking and too flimsy. It's a loose powder, so it can be quite annoying to put on the brush. You have to tap of excess and make sure your brush doesn't pick too much product. A golden-toned bronzer which will warm up the face. It doesn't give a dirty face. It is quite hard to overdo it. I feel it has a very slight orange-red tone to it..
which I find very flattering on my medium skintone. It is not a 100% matte. this doesnòt bother me one bit..
but I feel it gives a more natural looking bronze than the regular matte bronzer. It gives me a nice tan look. and how healthy I look when I'm wearing it. LOL. little do they know it's my trusty bronzer. I definitely like it A LOT. Who might not like it? People who like pale skin, those who have cool toned pale skin because it may show up too orangey on them. And people with dark complexions – it probably won't show up on them. FTC Disclaimer: I am not being paid to do this post. I have received the product for free in a mini bundle as a prize for making it in the TOP 10 in the Beauty Editor's shoes competition. I am not obliged to review or fetaure the product in any way. 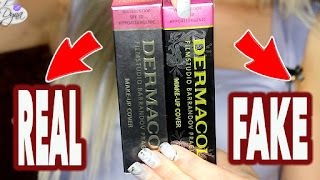 I am 100% honest in this review and I am not affiliated with ELF cosmetics in any way. This looks really nice, you've got great skin! found it a bit tricky to use at first, until i got used to it. Now I just love it! !